Earlier this year, a federal judge ruled in favor of all collegiate athletes featured in past EA Sports NCAA video games to receive payment for the use of their likeness. The settlement ended up being worth $60 million overall with each athlete receiving just over $7,000 each. The big question now is, what could this possibly open the door to, and what could be next for these athletes before they head to the pros? Will the NCAA consider permitting endorsement opportunities for their athletes? The interesting part of the latest EA Sports ruling, is that a federal court is overruling the NCAA rule and is ordering the player be paid for use of their likeness. As we know, the association is very against the payment of athletes, this may not be a bad thing all around though. Especially when you consider the burgeoning NCAA betting industry. 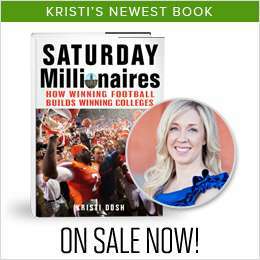 Millions of dollars are bet on college basketball and football annually, with online sportsbooks like TopBet (or Bovada, etc.) increasing the financial flow of NCAA betting beyond the reach of Vegas. None of this money will go to the universities or players, but to the oddsmakers, winners, and government (assuming taxes are paid accordingly). 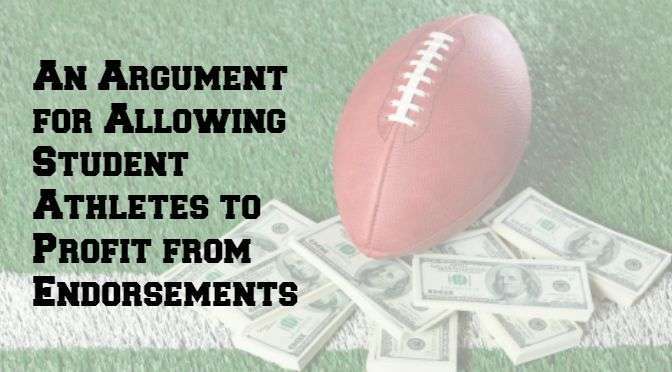 However, the massive growth of collegiate sports gambling is a major indication that there is big interest and a bigger market than anticipated for these players. There is money to be made. If betting on the NCAA eventually becomes fully legal and sanctioned, players will need an alternative way to earn if the NCAA expects to keep point spreads honest. This means opening up their (player) opportunities to be paid for use of their personal brand. To use an extreme example, the state of Colorado legalized the sale marijuana in 2013. The state then brought in $53 million in tax revenue in the first year alone. It was a radical move to legalize something that politicians had fought so hard against for decades. However, the state was immediately in the black considering it hadn’t been introduced ever before. This analogy is a little different though, because there were actual costs involved to the state, whereas there would be little to no challenges in the way for the NCAA. Now let’s circle back to the argument of why student athlete should be allowed to profit off their own name, image and likeness. The EA Sports decision is the first stepping stone in something that could benefit the association. Let’s just admit what we already know – the vast majority of high profile student-athletes have typically signed on with shoe or apparel companies once they’ve left their respective schools. In fact, some have even had released commercials before they’ve played in their first professional game. According to a piece released by the Houston Chronicle, a sports agent’s commission for an endorsement is generally between 10 and 20 percent. If endorsements were allowed while student athletes were still in college, the NCAA could take that endorsement percentage. It’s just one idea among hundreds of other scenarios, where the association could add millions of dollars to its bank account. It’s hard to find reasons why permitting student athletes to profit off their names wouldn’t work wonders for the players, teams and association itself.